So we are presently without heat and hot water. We are in New Hampshire, where it is -2 outside right now. 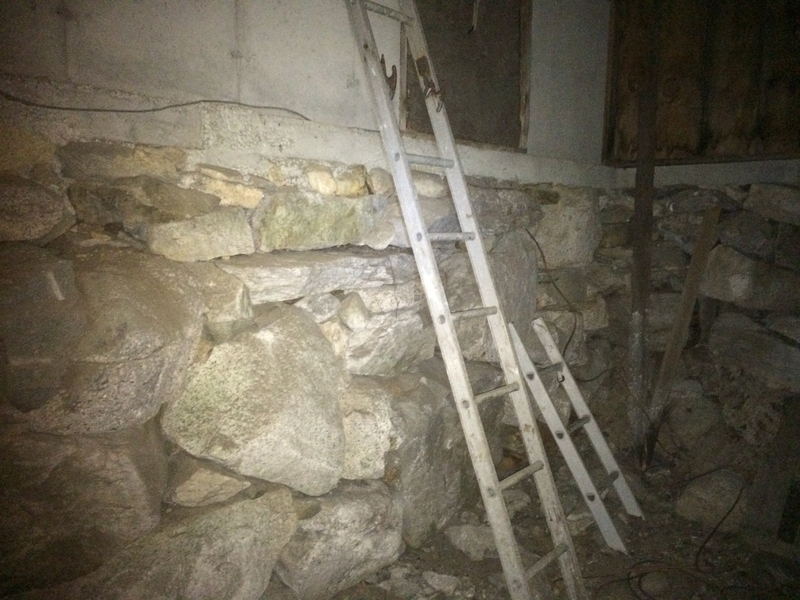 We have electric heaters running and wood stove burning to keep the 3000sf home sort of warm, and pipes from freezing. - Oil is not a feasible fuel source. 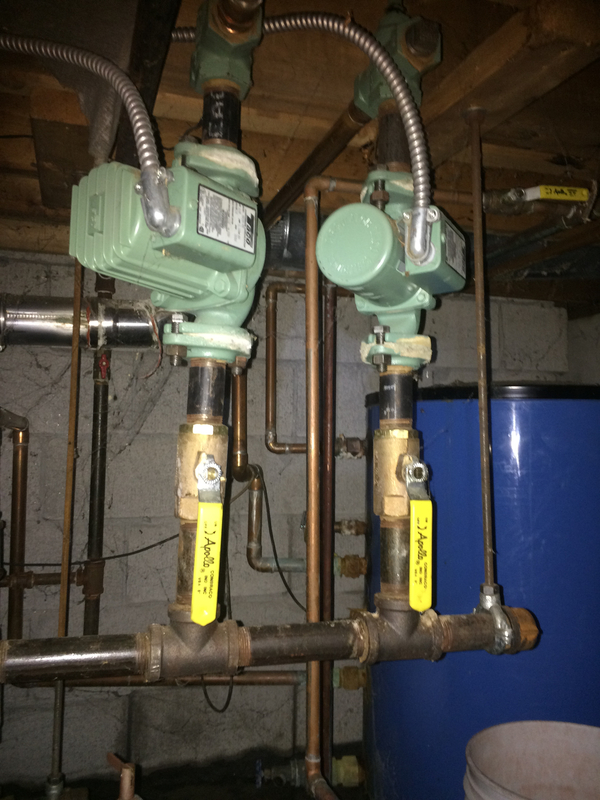 2) Remove the entire system and replace with a single on-demand system for both hot water and the radiant heat. Install a zone in the crawlspace with baseboard heat to keep the pipes from freezing. I believe this would cost around double of alternative 1. 3) Fix the gas valve on the boiler, and use the boiler for the radiant system only. Convert hot water to a low-boy electric so that the propane isn't being used constantly to keep the hot water hot. I think this would cost a little more than alternative 1, but not as much as alternative 2. The radiant heat should be around 90 degrees, but is much hotter at 140 degrees because it is also being used to heat the domestic water (my wife enjoys scalding hot water - weird, I know...) He says this is a downside of the current system and a reason to, at a minimum, get an electric hot water heater. So I wanted to see if there is any input on where I go from here. Money is a concern, both in the short term and the long term. Performance of the current system has met our needs with minimal maintenance - no reason to improve performance unless it is a similar or lower cost. And I need to make a decision quickly as we are without heat and hot water. Any thoughts or suggestions? Again, Happy New Year and thanks! That's the quickest. That boiler is how old? 1980? Agree with above suggestions, and check the boiler fluid when they drain it down. It may be wise to run a cleaner to improve performance. I agree, fix the boiler. Once you no longer having an emergency, is the indirect totaled or is it a leaky gasket? I sounds like the indirect should be piped and controlled as a priority load so it can run at higher temps. 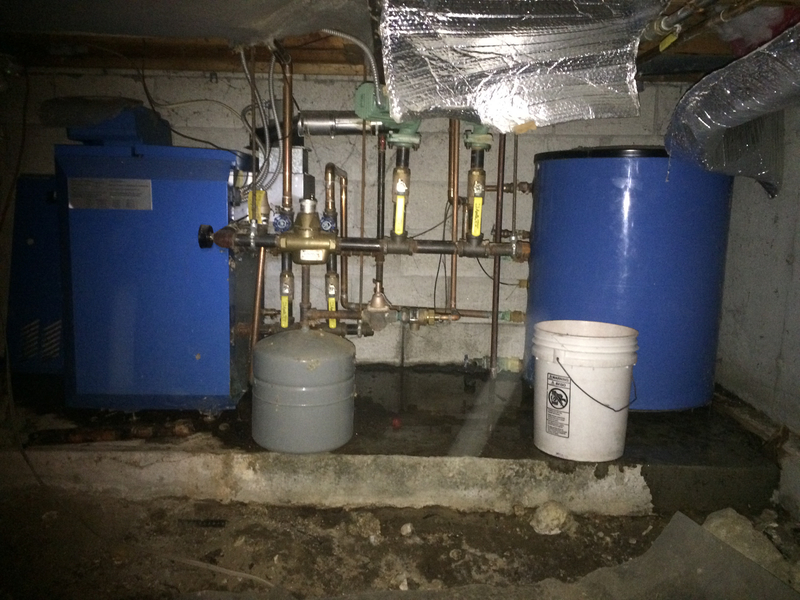 The boiler should not run at condensing temps, so you would need a mixing valve to get the lower radiant temps. ^yes I notice a lot of condensing drip on the flue pipe joints. This system was probably installed around 2000 or so. So here's where I am in my thinking... I have a boiler that is approaching 20 years old... and a tank which, if I replace in kind may last 10 years is what some friends are telling me... so within the 20 year lifespan of the tankless system, I will have replaced two indirect tanks and the boiler. I'm thinking even though the tankless is 2x the cost of replacement in-kind, over the next 20 years it will be less money, have less maintenance, and run more efficiently. Plumber says he'll work new year's day to install the tankless, but I'll have to wait til Tuesday for him to order the new low boy and gas valve from his distributor. It may. 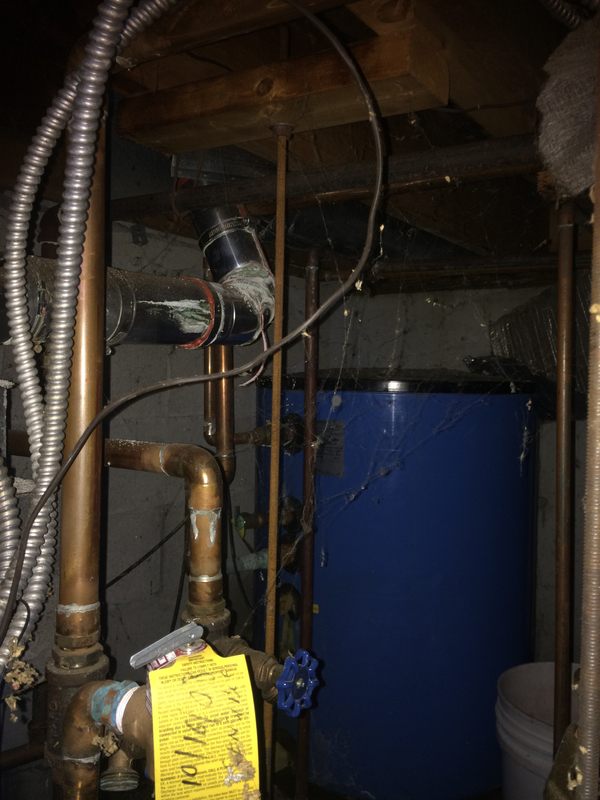 It may indicate that the return from the radiant system is getting directly to the boiler and that the boiler is running at too low a temperature. This will do neither the boiler nor the flue any good at all. 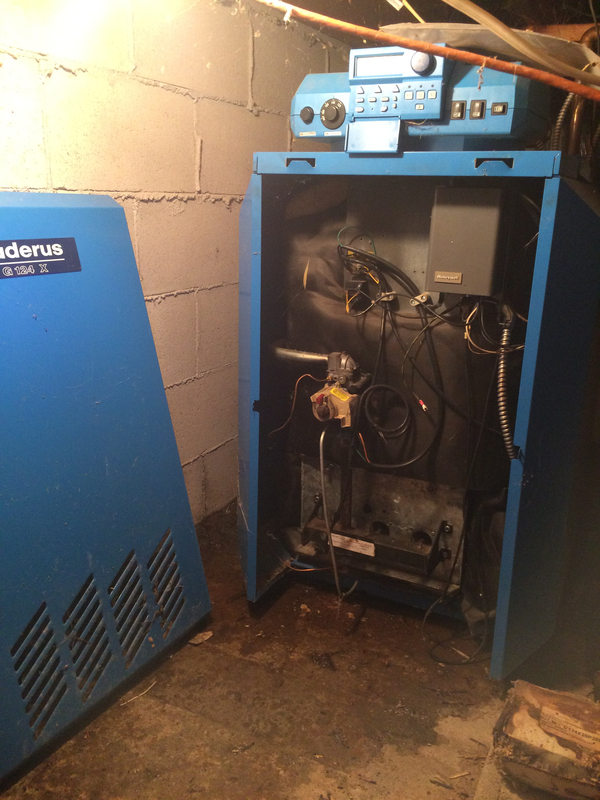 That boiler is one of the better ones out there -- but it wasn't meant for return temperatures below about 140. Which means your radiant really should be piped primary/secondary. it wasn't meant for return temperatures below about 140. 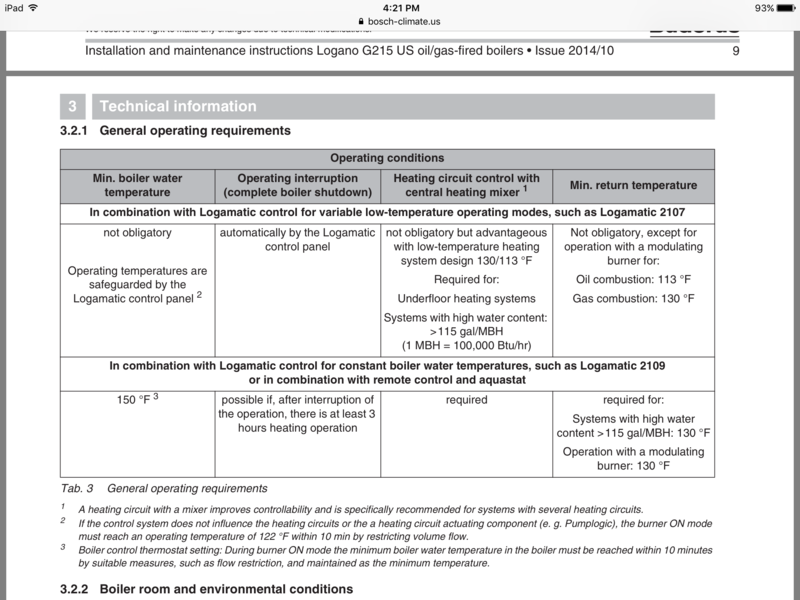 Seems like return temps below 140 might be a reason to go with the tankless system? Fix it! Did I tell you that I'm cheap? When replacing the gas valve, remove the burner tubes and clean them, the pilot orifice and anything else down there. Buy an indirect with a stainless tank and 1" cupro-nickle heat exchanger with a low pressure loss. 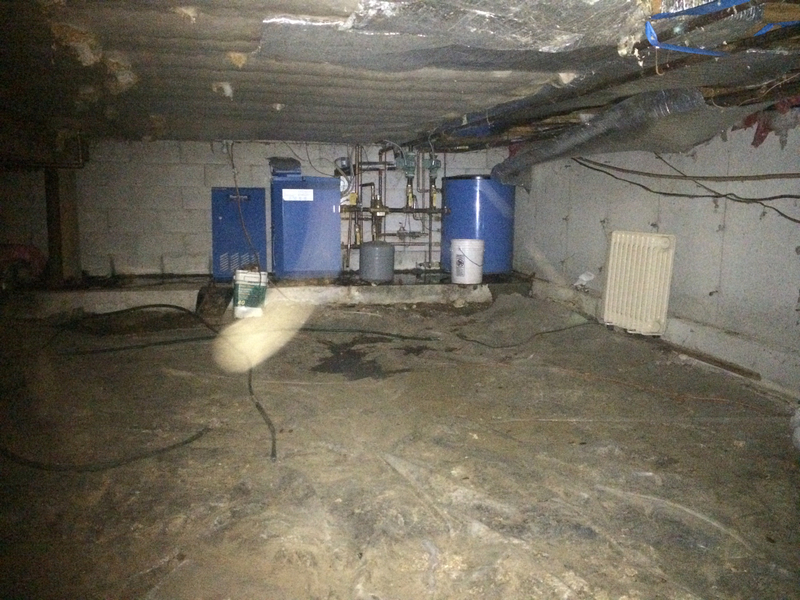 Find out why the power vent system is showing all that corrosion. You know, the indirect doesn't have to be next to the boiler if a further location gives you more head room. That boiler has the silicone cast iron. I believe it can take lower water temps than the standard CI castings. I don't know about radiant rwt. I'm thinking 130 iirc. It also has the logamatic control.